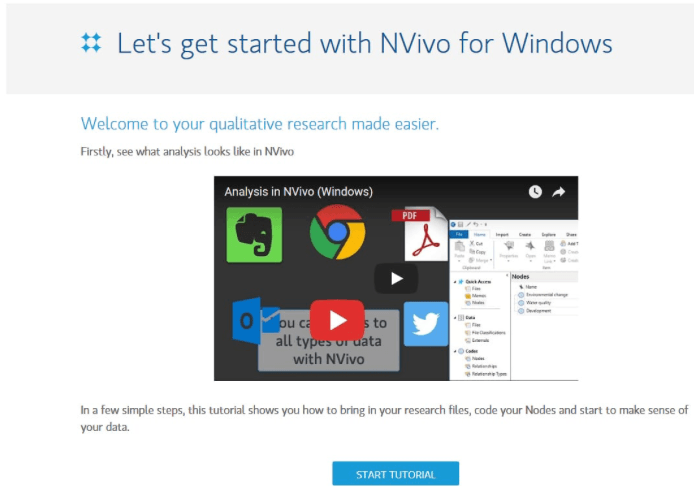 “Advanced NVivo 12 Plus” is a follow-up presentation from the “Introduction to NVivo 12 Plus” offered earlier this term. This training will be held 1:30-3:30 p.m. Friday, Dec. 7, in 306 Calvin Hall. 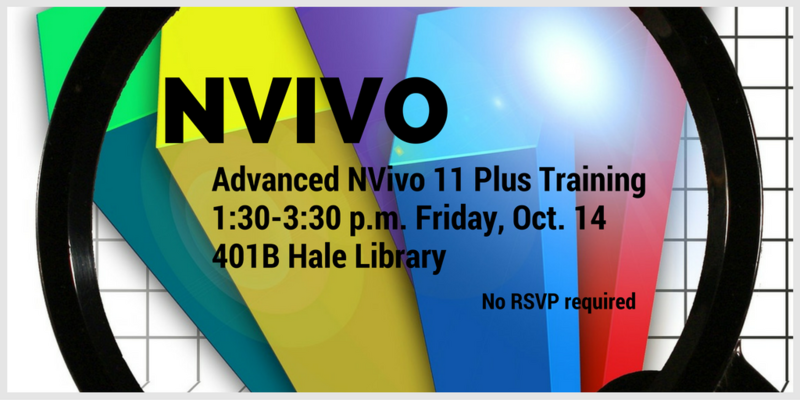 Advanced NVivo 11 Plus training is 1:30-3:30 p.m. Friday, Oct. 14, in 401B Hale Library. 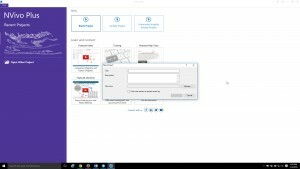 This is a follow-up training from the “Introduction to NVivo 11 Plus” training presented last month. “NVivo 10 and 11 Advanced” is a follow-up presentation from the “Introduction to NVivo 10 and 11” offered the prior month. This training will be held 1:30-3:30 p.m. Friday, March 25, in 401B Hale Library.